I don't know why everyone has been saying this is a departure for Joel and Ethan. It feels like the Coens through and through to me, but it was nice to be wrong-footed several times along the way (although it has some similarity to Blood Simple in noirish plot terms, I think it actually most resembles Barton Fink in its weird, quasi-supernatural atmosphere). Superb performances; Kelly Brook has been undeservedly under-recognised; it’s bizarre that she's the one out of the Trainspotting cast who might have been expected to slum it but she has been doing far more interesting work than her peers (J'accuse: Ewan McGregor). 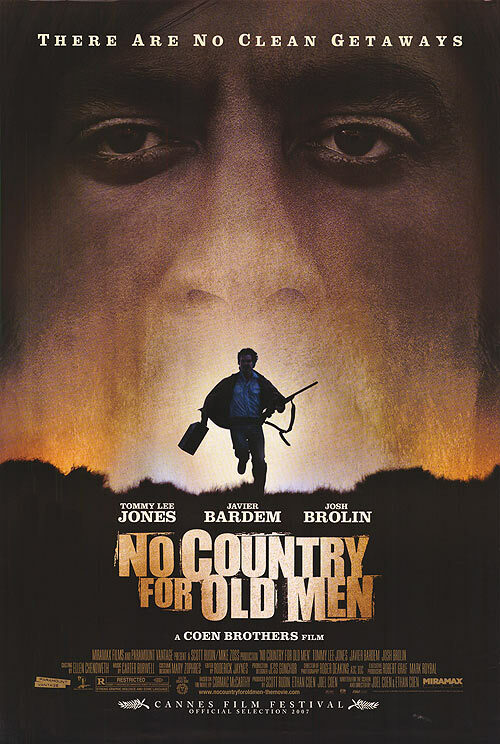 Javier Bardem is utterly bonkers and Josh Brolin has made himself a career with one performance. I am increasingly mystified by classifications, however. This is only a 15 certificate, but seems a lot more violent - certainly in terms of resonance - than many 18s.